When Mopar was founded in 1937, it was primarily a source of antifreeze products. 80 years later, Mopar has become one of the biggest names in vehicle modifications. In order to celebrate such a diverse automotive history, Mopar is once again teaming up with Dodge to produce a special edition vehicle. Mopar debuted the Mopar ’17 Dodge Challenger at the Chicago Auto Show. 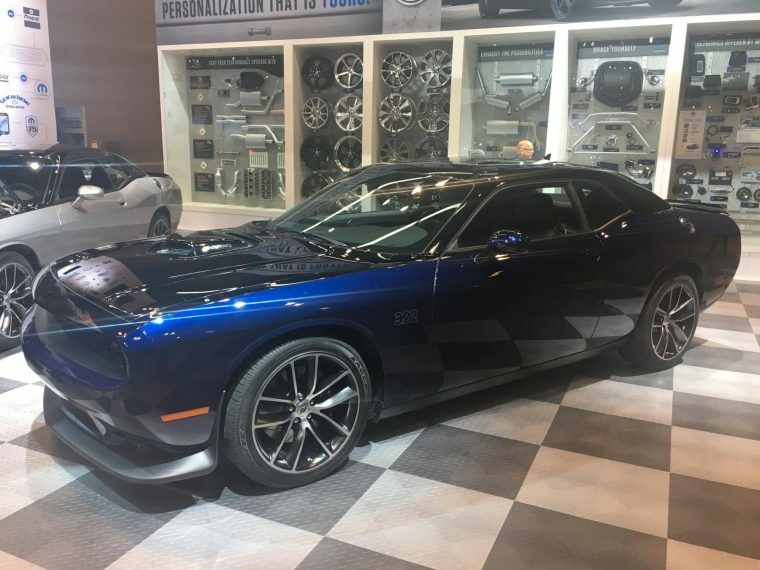 Custom-made and hand-painted in two colors, Pitch Black/Contusion Blue and Pitch Black/Billet Silver, only 160 of these Mopar ’17 Dodge Challenger special edition models are set to be produced, 80 models for each color palette. The two exclusive color schemes are not the only cosmetic changes made to the Challenger’s exterior for the Mopar ’17 model. A Mopar 392 logo has been added to the side of the vehicle. 20 x 9-inch aluminum wheels are equipped to the vehicle as well, embellished with semi-gloss accents. Inside the cabin of the Mopar ’17 Challenger, Tungsten Mopar logos are embroidered on the seatbacks, along with specialized Tungsten stitching. 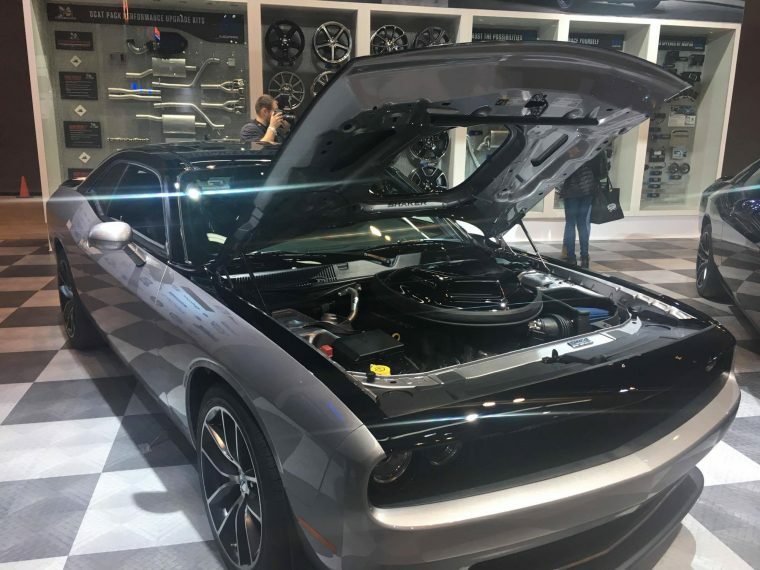 Under the hood, the Mopar ’17 Dodge Challenger is equipped with a 6.4-liter, 392 HEMI engine, capable of producing 485 horsepower and 475 lb-ft of torque. The HEMI engine is paired with a six-speed manual transmission. To add more power to the Challenger’s performance, the Mopar ’17 edition also uses an air catch duct system to increase cold air intake. One final surprise under the hood for the those 160 drivers lucky enough to purchase a Mopar ’17 Dodge Challenger is a special edition 80th Anniversary Mopar badge under the hood of the vehicles, as well as a unique serial number for each Mopar ’17 vehicles. Mopar is no stranger to working with Dodge. Since 2010, Mopar has worked with the automotive brand to create custom, limited-edition trims of the vehicles in its lineup, including the Challenger, the Charger, and the Dart. The Mopar ’17 collection of vehicles is set to arrive at select dealerships later this year. 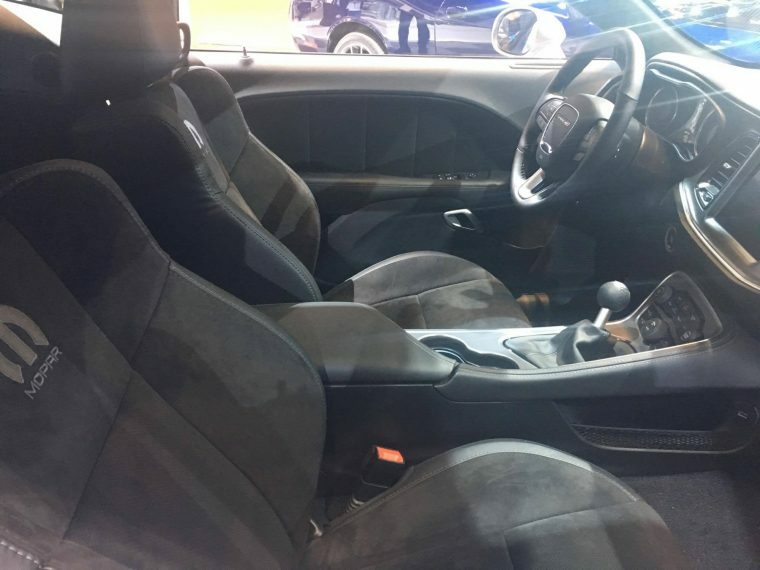 The asking price for the each of the vehicles is $55,790. If you want to purchase one of these pieces of Mopar history, then we suggest keeping an eye out for news surrounding the Mopar ’17 Dodge Challenger, as supplies appear to be very limited.